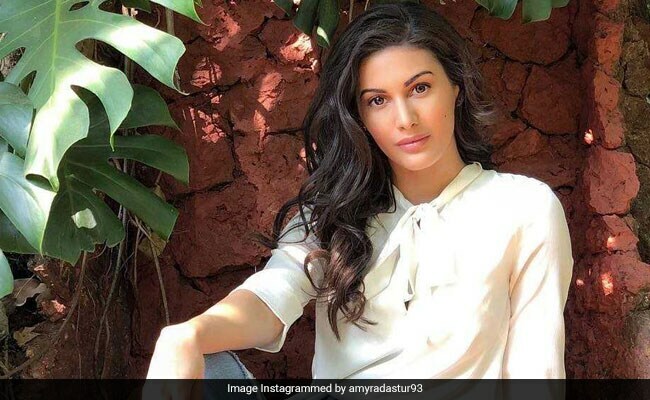 Amyra Dastur, who will be seen sharing screen space with Kanagana Ranaut in her forthcoming film Mental Hai Kya, is all praises for the Queen actress. During a recent interview with news agency IANS, Amyra said that it is "an absolute privilege" for her to work with actors like Kangana Ranaut and Rajkummar Rao. The Issaq actress described her experience of working with Kanagana as "amazing" and added, "It's an absolute privilege for me to share screen time with such amazing and fine actors like Kangana Ma'am and Raj sir. Kangana Ma'am is someone who has and still inspires me, so being able to act with her even more feels amazing." Amyra, who will be seen playing Rajkummar Rao's love-interest in Mental Hai Kya, stated that the film will "shock" the audiences with some never-seen-before performances and told news agency IANS:"This film is definitely going to shock and awe our audience especially because I truly feel that no one has seen this side of acting from the cast before." The 25-year-old actress said that working on the film's set is like being at "home" for her. "Working on this set is sort of like home for me. Shailesh R Singh (film's co-producer) launched me in Issaq, so I trust him blindly when it comes to the film. If he says I need to shoot more, then so be it," IANS quoted Amyra as saying. Mental Hai Kya has been directed by Prakash Kovelamudi and it has been jointly produced by Ekta Kapoor and Shailesh R Singh. The film is a dark comedy and it its release date has not been announced as of now. Amyra Dastur stepped into Bollywood with the 2013 film Issaq and she has featured in films like Mr X, opposite Emraan Hashmi and Kaalakaandi starring Saif Ali Khan. She has also been a part of web-series like The Trip season 2 and Rajma Chawal.